Prometheus is one of our top traded DVDs at the moment. From the moment rumblings of an Alien prequel directed by Ridley Scott emerged way back in 2009, people were very excited for Prometheus. Finally, we’d get to find out how our favourite teeth-tongued black lizards of doom came to be, and hopefully we’d get to see them rip through another batch of poorly-prepared space marines too! Unfortunately, Prometheus didn’t quite end up being that film. Instead, it focused on a race of ultra-ripped bald men called the Engineers, one of whom happened to be the poor unfortunate soul with a big hole in his chest that the crew of the Nostromo discovered in Alien. It turns out that the Engineers have a pretty close relationship to humanity; they made us. After discovering this shocking revelation via a…erm, cave painting, a crew set out to find our daddies and make them love us. What they find, however, is a mysterious black goo that lays waste to anything it touches. After years of anticipation, Prometheus was seen as something of a disappointment when it was released. Rather than reliving the heart-pumping terror of the original Alien or the sweat-inducing action of Aliens, Prometheus poses lots of questions about the meaning of life. But, watching the film two years later on DVD, a different interpretation of the movie comes to light: maybe, like the crew of the good ship Prometheus, we’re supposed to be scared and overwhelmed by the sheer amount of new information and philosophy thrown at us. When taken in that context, Prometheus suddenly makes a lot more sense. Not literally, of course – we’ve watched it at least 3 times and are still no closer to figuring out exactly what’s going on – but in terms of the movie-watching experience. This is helped by Ridley Scott’s expert direction, which gives Prometheus a creepy and awe-inspiring feel throughout. Scott’s use of expensively-built sets adds to the grand vibe of the film, while his eye for an astounding set-piece (there are quite a few in Prometheus) hasn’t faded over the years. The real problem lies in the script, which crafts characters it’s difficult to care for. The characters, unlike the crew of the Nostromo, aren’t memorable or strong enough to carry the weighty themes of the movie, which leads to the movie falling a bit flat. Noomi Rapace as Elizabeth Shaw and Michael Fassbender as android David are the honourable exceptions. So, all in all, Prometheus – with the benefit of hindsight – isn’t as bad as the initial backlash suggested. That said, it’s still quite a heavy movie with quite a few flaws. It’s not the prequel to Alien we were all hoping for, but hopefully the planned sequel will be. 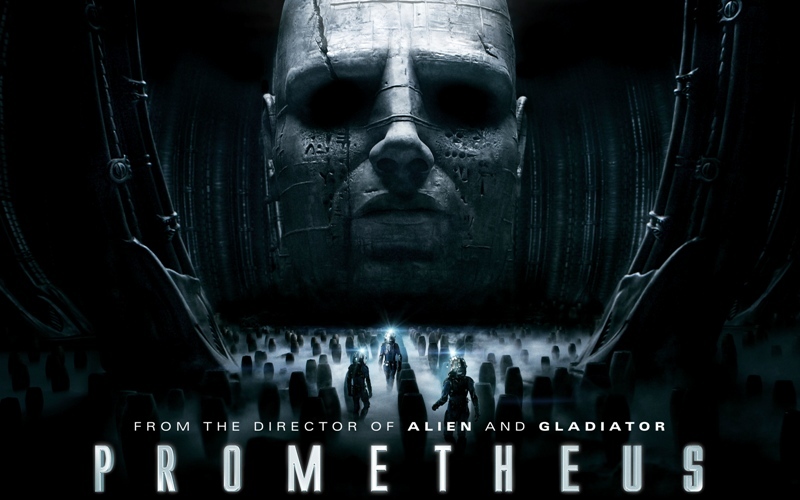 If you’ve got Prometheus on DVD and you don’t watch it anymore, sell it with musicMagpie!